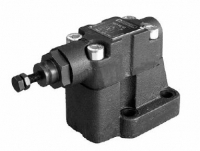 The CD1-W valve is a direct operated pressure control valve with threaded ports and for flange mounting installation. 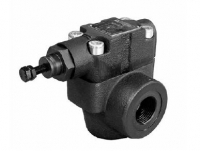 The RM*-W valve is a pressure control valve with threaded ports for panel mounting with a ring-nut fastening. The RQ*-W valve is a pilot operated pressure relief valve with threaded ports, available in two nominal sizes for a flow rate up to 400 l/min. Pilot operated pressure relief valve; main stage with shutter and cone seal.